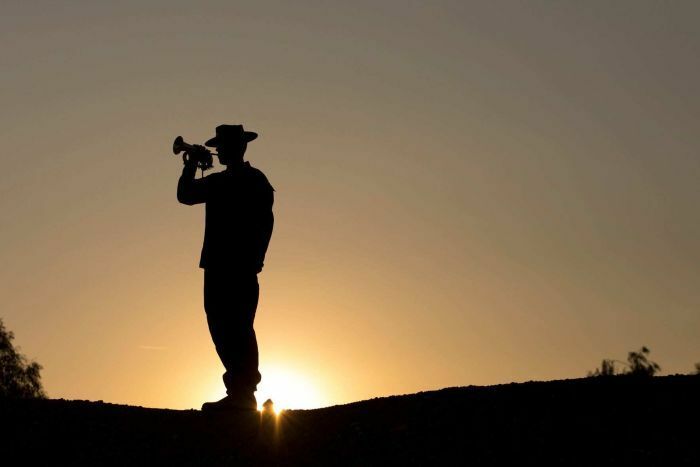 has been honoured in an outback battle recreation. 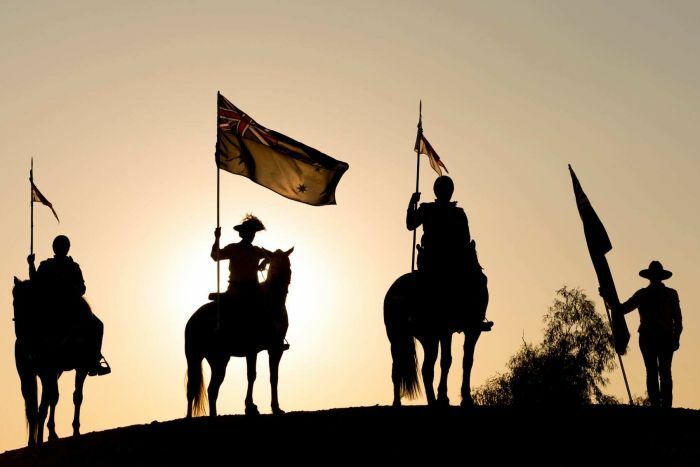 re-enact the 1917 WWI Battle of Beersheba, which is often referred to as one of Australia's last great cavalry charges. campaign to break the Turkish line of defence. 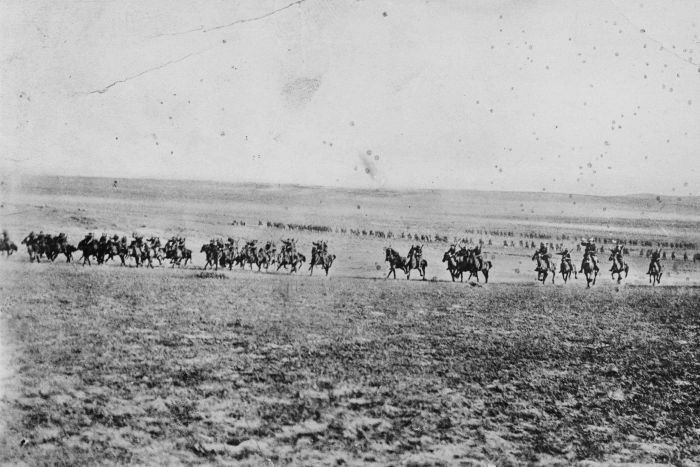 The charge of the 4th Light Horse Brigade in 1917, as captured by a Turk whose camera was captured later in the day. Organisers said the 2017 re-enactment on Thursday night had been just as monumental. and enlisted in this region is astronomical," organiser Jed Millen said. men in the region, so why not take it to the west?" Would have been fascinating to see that. There's a very good movie on this cavalry campaign. One of my great grandfathers was in the Light Horse but he got invalided back home due to an injury. We still have his leather leggings. The Waler was the backbone of the Australian Light Horse mounted forces. It was especially suited to working in the harsh climate of the Sinai Peninsula and Palestine. sadly, the Waler has fallen out of favor. In May 2013, 10,000 Walers were culled at Tempe Downs Station near Kings Canyon, about 300 kilometres south-west of Alice Springs, Northern Territory.